When Sister Ruth (Venard) Sattler took her first piano lesson at age 9, she set the stage for a music ministry that continues to resonate with hundreds of former students who affectionately recall the 1963 album, In a Manger Lowly, which she directed. For more than three decades, Sister Ruth taught music and band classes and instrumental and piano lessons at Mount Gallitzin Academy in Baden. After retiring from MGA in 2005, Sister Ruth continued piano lessons and often played the organ or piano at Mass and special events. Sister Ruth also served at high schools that included St. Joseph in Natrona, St. John in Uniontown, St. Veronica in Ambridge, and Mount Gallitzin in Baden. Sister Ruth has composed more than 50 liturgical hymns, some of which have been incorporated into an original ballet written by a former MGA student. She formerly played trombone in the Diocesan Sisters Orchestra and the Sewickley Symphony Orchestra. 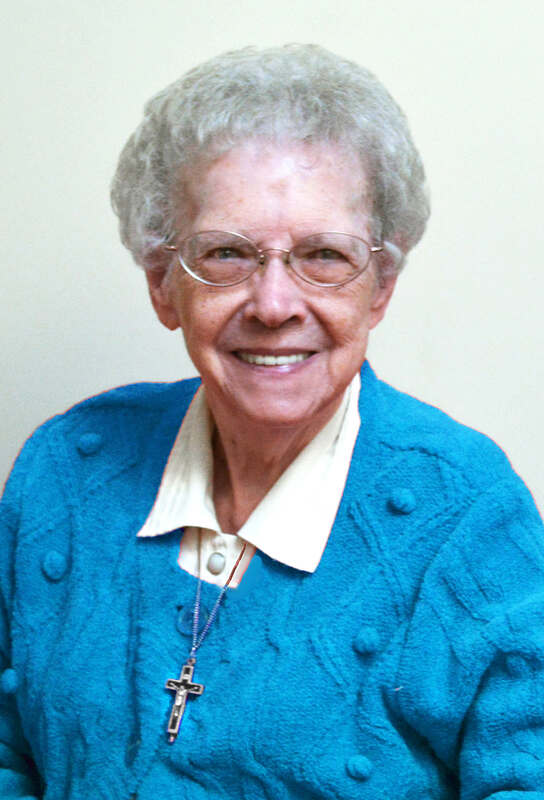 Known for her joyful and welcoming spirit, Sister Ruth recalled that her teachers at St. Titus in Aliquippa influenced her vocation decision. “I was so impressed by how much the Sisters loved one another that I wanted always to be part of that,” she said. Make a donation in honor of Sister Ruth.